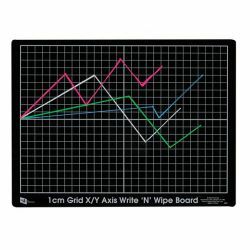 Set of 10 - These double-sided , no-tear, plastic boards can be used with dry-wipe markers. 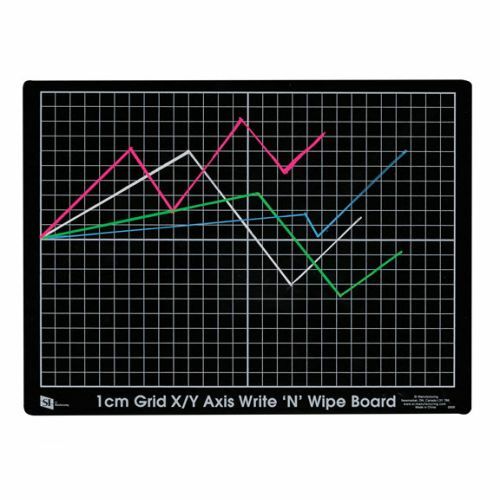 Blank on one side and available with an X/Y axis for graphing on the other side. For use with neon markers. 1cm Grid (115-75212).